Service and preventative maintenance is fundamental to maximising reliability, efficiency and longevity of compressed air equipment. Here at Telford Compressed Air Services, we take the time to understand your requirements and carefully tailor a support plan that suits you. Our proactive approach ensures your compressed air system is running at optimum efficiency at all times. Our service team will notify you when your equipment is due for service, scheduling conveniently timed site visits, minimising down-time whilst service is being carried out. You will receive a comprehensive service report after every service, detailing work carried out and advisories on any defects within the compressed air system that requires attention. Our services cover a wide range of industries including; Manufacturing, Automotive, Food & Beverage, Pharmaceutical, agricultural & more. 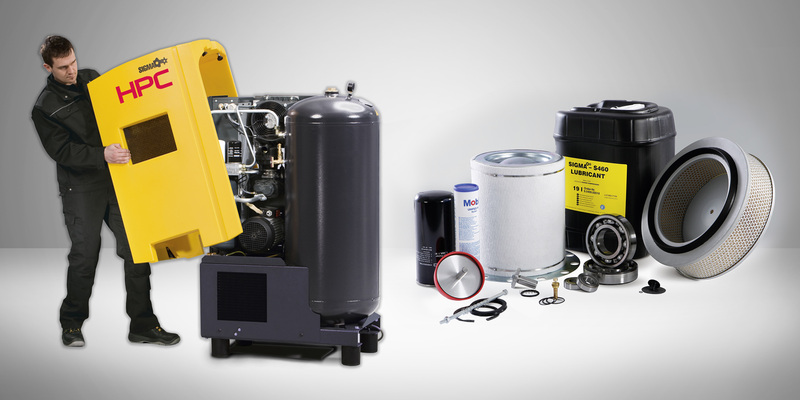 As specialists in compressed air systems, our objective is to help you maintain a safe, efficient and reliable compressed air system whilst reducing overall cost of ownership. By choosing a service contract with Telford Compressed Air Services, we will take responsibility of the maintenance of your compressed air system through planned site visits at pre-determined intervals which suit the requirements of your operation in accordance with manufacturer’s recommendations. Using Genuine OEM spares and service kits, quality and reliability is guaranteed. Our service contracts are flexible and can offer fixed budgeting solutions allowing you to allocate budget to the maintenance of your compressed air system.